In 2014, 12 member companies of CNNP jointly held the Second "Appealing Light" Cup Chinese Nuclear Power Science Popularization Knowledge Contest and Summer Camp for middle school students, attracting over 100,000 students from 34 provinces, municipalities and autonomous regions of China. During the event, students were also invited to participate in the science popularization lectures on nuclear power and visit the nuclear power science popularization exhibitions and Nuclear Power Stations, so as to gain nuclear power knowledge. 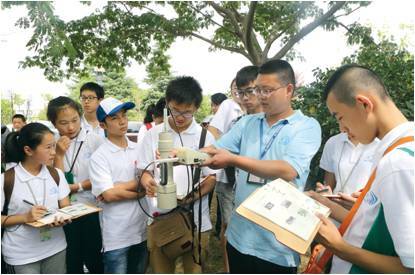 On July 14, during the 5-day summer camp, over 30 outstanding middle school students from 11 provinces and autonomous regions enjoyed an informative nuclear power technology and culture tour, feeling the vitality of appealing nuclear power and beautiful Jiangsu. 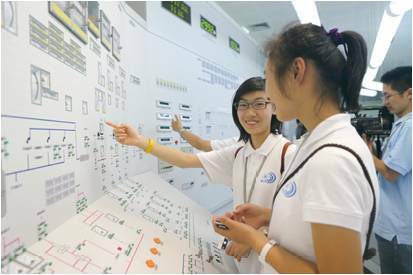 By visiting the Nuclear Power Station exhibition hall, conducting field measurement of environmental dose, digesting the principles of nuclear power generation, and learning nuclear safe knowledge, those students eliminated the original mentality of "being afraid of nuclear power", and improved scientific literacy, which drives more people to form a rational nuclear power awareness.